NAI Hiffman announced that Waste Management has signed a lease renewal at 700-720 E. Butterfield Road in Lombard, Illinois. NAI Hiffman Executive Vice President, Michael Van Zandt, and Vice President, Brian Edgerton, represented the landlord, St. Paul Fire & Marine, in the 86,110-square-foot office lease. 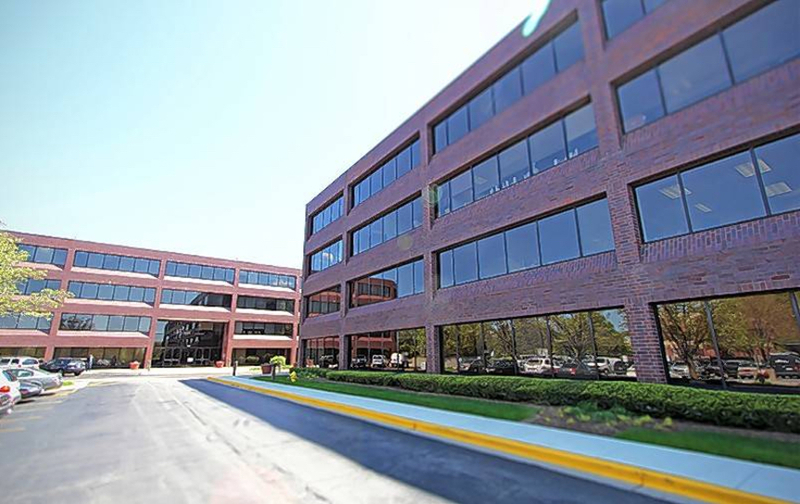 Waste Management has been an active tenant at Butterfield Centre since 1991 and continues to benefit from the property’s prime location in DuPage County. NAI Hiffman currently provides leasing and management services at Butterfield Centre, a two-building, 280,672-square-foot, Class A office complex centrally located at 700-720 E. Butterfield Road. The property features close proximity to major interchanges like I-88 and I-355, as well as popular restaurants and shops within Yorktown Center Mall in Lombard. Amenities, include: newly renovated common areas, on-site deli with “made-to-order” service, fitness center, covered parking, storage, and training center with auditorium. To learn more about Butterfield Centre and its leasing opportunities, visit: www.butterfieldcentre.com. Village of Lombard President Keith Giagnorio delivered the 2016 State of the Village Address at the Lombard Chamber of Commerce membership luncheon on Wednesday, Feb. 17. The text and a video recording of the address are available at www.villageoflombard.org/stateofthevillage. The State of the Village Address touched on a number of topics including positive Village Board relations, the functions and services of the Village’s 6 Advisory Committees, Lombard’s new Economic Incentive Agreement and its positive influence on development, ongoing commitment to communication and transparency, the high standards of the Village’s Police and Fire Departments, and budget concerns regarding the State of Illinois’ potential cuts that threaten to divert $2.3 million of Village funds. Village President Giagnorio highlighted long range budget concerns due to unfunded State mandates. “The truth is, that there’s a lot of hard work ahead, but the important thing is that we’re not ignoring it,” said Giagnorio. “We’re choosing to be responsible and to proactively identify solutions, and we will. We are not a ‘kick the can down the road’ kind of Board. We are working to solve our long range problems now because it’s the right thing to do. It’s the responsible thing to do.” The full text of the 2016 State of the Village Address may be viewed here. The address will be run on Lombard Comcast Channel 6 and AT&T Uverse Channel 99 on Sundays, Tuesdays and Thursdays at 6:30 p.m., on Mondays, Wednesdays and Saturdays at 1:00 p.m., and Fridays at 11:00 a.m., throughout March. LOMBARD, Illinois — The Village of Lombard’s Community Development Department recently launched an online informational series about the process of opening a retail store in Lombard and the Village’s role in business attraction and retention. LOMBARD, IL – The Village of Lombard was recently named #7 on the Top 10 Best Chicago Suburbs for Young Professionals list from real estate website Movoto.com. Over 100 locations were considered for this list, which was then broken down by key factors including percentage of residents with a bachelor’s degree, percentage of residents 22-29 years of age, unemployment rate, median earnings, percentage of residents who work in management, business, financial or other professional fields, and the cost of living. The individual listing referred to Lombard as “about as postcard perfect as it gets.” The writer highlighted Lilac Time, annual events and the “historic Downtown district” as reasons Lombard is a highly desired suburb for young professionals to live. To read the article visit http://www.movoto.com/chicago-il/best-suburbs-for-young-professionals/.